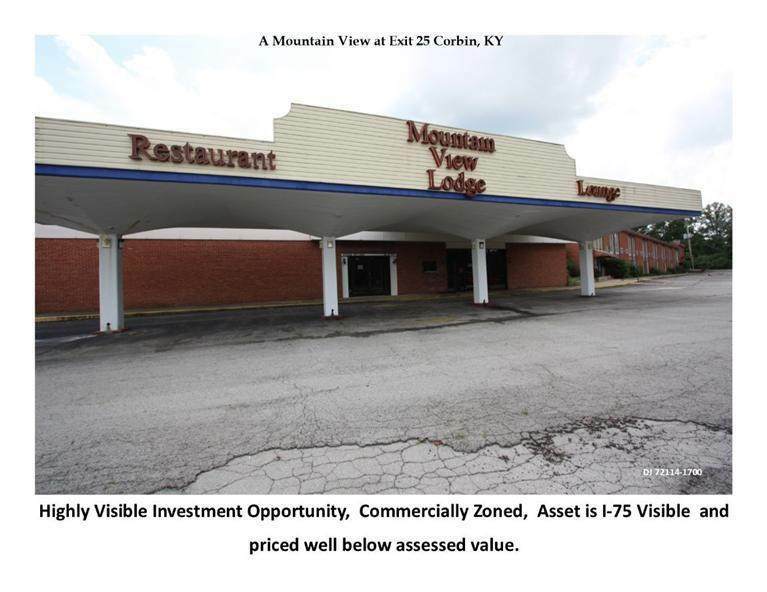 Highly Visible Investment Opportunity, Commercially Zoned, Asset is I-75 Visible. +/- 10.5 acres with a 2 lane paved access road. 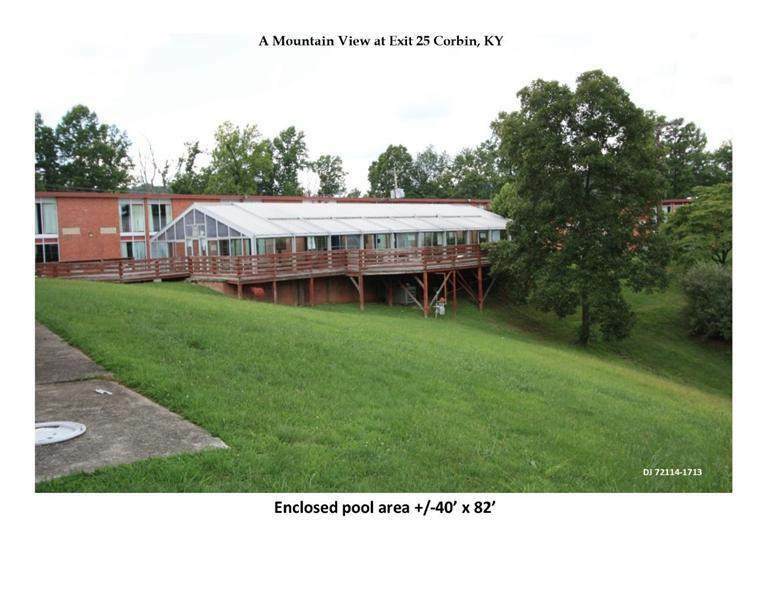 Enclosed pool area +/-40'x 82', +/- 82,000 S.F. facility, includes +/-143 guest rooms, restaurant, meeting rooms, indoor pool, vending and maintenance rooms. Interstate-75 visible, easy access to the local business district. 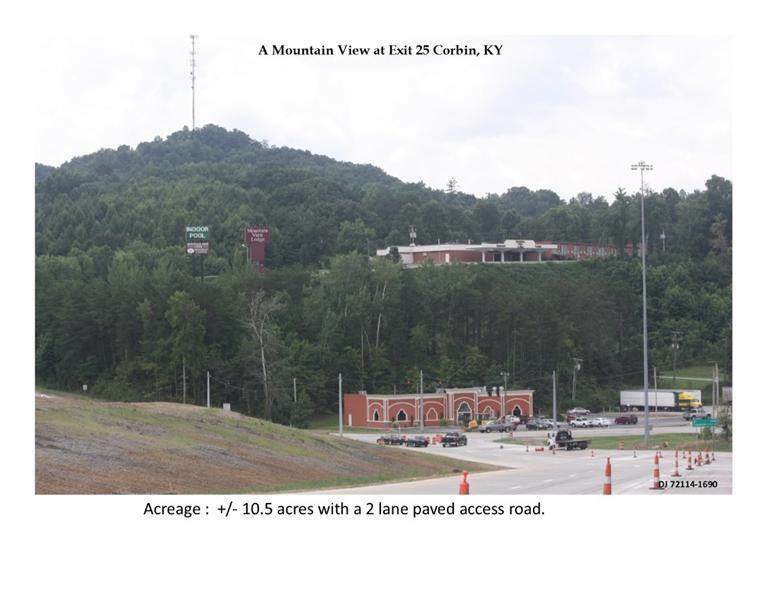 Due to traffic, additional exit 25 ramp lanes are planned to be added, also widening a portion of Cumberland Falls Highway is planned. Buyer must independently verify the information and bears all risk and costs for any inaccuracies.